It still amazes me that these tactics work. I guess they work. If they didn’t work, why would companies keep doing it. This tactic is to use large text to attract you to the product. 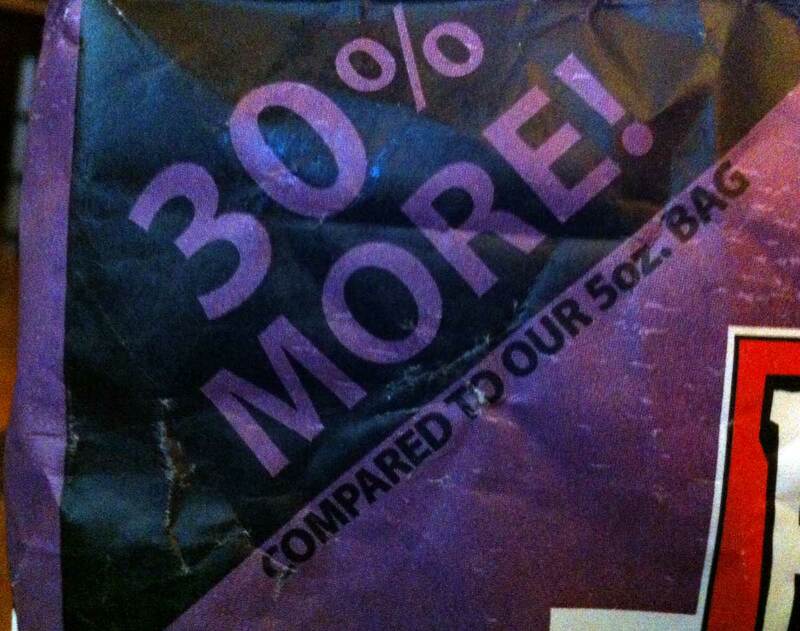 This photo shows the ounces of the bag that the 30% More tactic was on. Is this an effort to get you to buy the larger bag? There were no other size bags in the store any where near this one. This makes me scratch my head as to the person who approved this. What do you think the 30% more was intended to do?